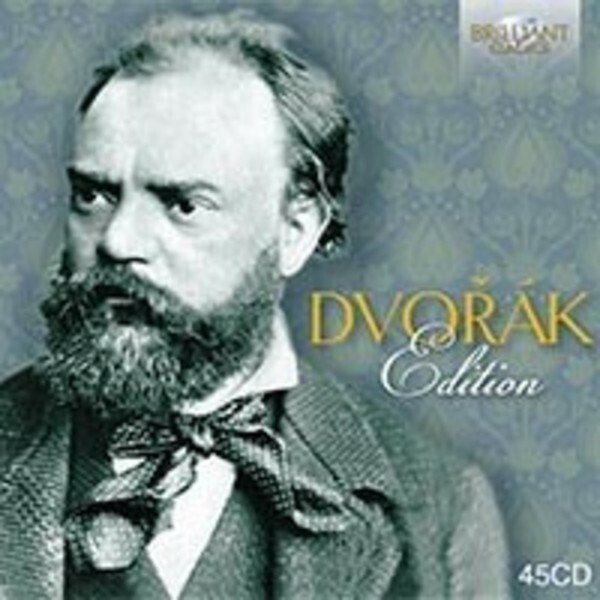 The most comprehensive Dvořák Edition available! This new instalment in the popular Brilliant Classics Composer Editions offers a wide selection of Dvorak’s works: the complete symphonies, symphonic poems and overtures, Slavonic Dances, complete concertos, string and wind serenades, the complete string quartets and other chamber music works, the complete piano music, choruses, songs, the impressive and substantial Requiem and Stabat Mater, and the popular opera Rusalka. Many of Dvořák’s works count among the public’s favourites all around the world. The combination of classical-romantic craftsmanship, the unique melodic gift, and the influence of warm blooded, vibrant Bohemian folk music and dances make them irresistible. These are acclaimed performances by internationally renowned artist: the Staatskapelle Berlin/Suitner in the symphonies, the Janacek Philharmonic/Kuchar in the symphonic poems, pianist Rudolf Firkusny, violinist Ruggiero Ricci, cellist Zara Nelsova, Bamberg SO/Doráti, Peter Schreier, and many others offer idiomatic and passionate music making.